If you're planning on buying a property as an investment in Preston, you're probably wonder what the positive points are. 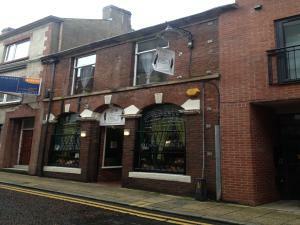 You could add to the value of the commercial property in Preston by renovating and improving it, for example. Don't forget, you always have the option of selling and making a profit on your investment property in Preston. At MOVEHUT we have a huge selection of commercial property available for investment in Preston. You may be searching for an office in Preston as an investment for the future. On the other hand, maybe you want to invest in an industrial property in Preston. Either way, at MOVEHUT you will find its never been easier to search for investment property in Preston. If you are buying an investment property to let in Preston, there are various important things to consider, such as effectively managing your tenants and maintaining your property. It is advisable to set up a automated rent collection system so that you manage the rent effectively, and to ensure that no rent payments are late or missed completely by your tenant. What's more, there are legal requirements that you should keep in mind, including fitting a smoke alarm and undertaking gas checks in order to ensure of your tenant's safety. When looking for an investment property in Preston, the commercial property market can offer lots of benefits to any investor. It's always worth investigating the property's yield, which is calculated by the annual rent divided by the price you pay in Preston. While no investment market is one hundred percent secure, the UK commercial property market and it's economy is traditionally strong. Why not take your time, and use MOVEHUT and our search functionality to find yourself a superb Preston investment property to. Making a smart business decision is always paramount with any commercial investment property in Preston. Don't buy a commercial property in Preston because you like it, think rationally about the potential of the building and what return you are likely to get from it. When you are ready to find a commercial property investment in Preston, keep in mind how you assess your investment choices. If you plan to buy a multi-million pound commercial investment in Preston you should definitely be aware of any restrictions you may face. The purchasing process of an investment commercial property in Preston will take longer than buying a residential investment. If you're unsure of how to proceed or what might affect your with a commercial property investment in Preston, it's always worth looking for some qualified advice. 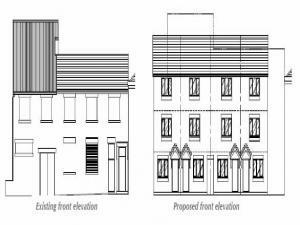 Choosing to speculate in a commercial investment in Preston could be rather risky. If you speculate you are expecting a property to increase in value. Investment property will in many cases be a long term proposition, and can offer a way to generate income from the property in Preston. MOVEHUT can help you find a commercial property to buy in Preston, whether you decide to take the safe option or not. If your chosen commercial investment property in Preston is out of your price range, finance could be an option for you. Getting a commercial mortgage, may be the answer your looking for, but to obtain one you may need to show your business plans in Preston. By getting your finances in order now, it will make getting additional finance for commercial investment property in Preston more straightforward. By taking part in investment property events in Preston, your knowledge in this field will be significantly improved. Advice from various other property investors and experts is one of the benefits you get from an investment property networking events in or around Preston. You don't want to miss out on the chance to network at an investment property event in Preston.